Liz Schulte's Bat Country: Easy Bake Coven Book 6! 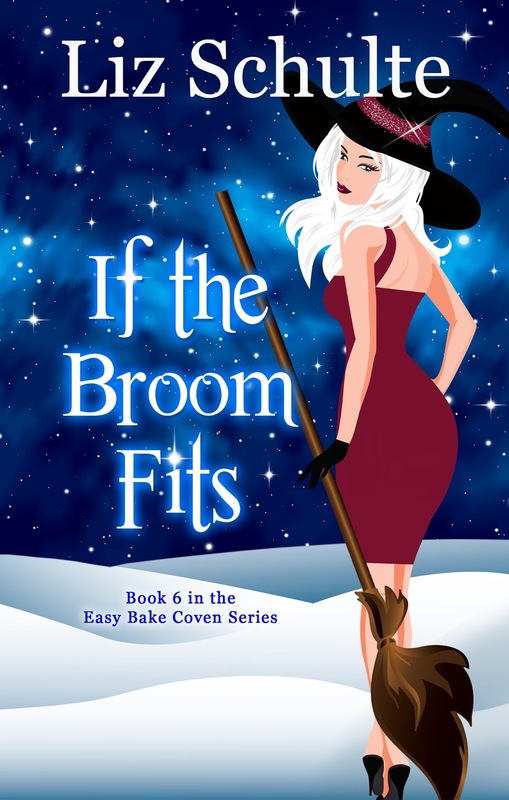 Easy Bake Coven Book 6! If the Broom Fits is heeeeeerrrreeee. This month's release is none other than the next book in the Easy Bake Coven series. Woohoo! Also, make sure you are signed up for my new release newsletter to hear about all my new releases and the next one will also include a newsletter only sign up to become a member of my beta reader group, The Coven Counsel. The power to control the undead isn’t as glamorous as it sounds and it never comes without a price. Sure a necromancer can control any formerly living being, but the cost is losing everything else. Or at least that is what Frost always believed. Having spent her whole life knowing that a single touch of her skin could kill anyone, she avoided things most people take for granted: friends, family, and connections. But, despite her best efforts, those things found her in the form a tenacious coven of witches who offer her the only thing she has ever wanted: a place to belong. She knows it is only a matter of time before someone slips and touches her, ending the single greatest shred of hope she ever had to find a cure. Following the clues left behind by her mother, a dark witch, Frost embarks on a journey to not only end her curse, but to protect the friends she never believed she could have. However, more than she bargained for is waiting for her to return home. And a danger like she has never known turns her from the hunter to the prey. I think I have lost a book! Anyone tell me where you find how they got Jessica back and what happened between Book 5 ending and this one beginning? It's driving me crazy! They got Jessica back at the end of book 5. There are two short stories between books 5 and 6. The first one is Catatonic and the second one is Frost's Bite.